Introduction: We've taken a look at Fenwick's HMG series of rods before, but to date, our tests have always been with their casting gear. Naturally there's more to the HMG line than just the casting rods, so this year, for Fenwick's newly refreshed HMG line, we finally take a look at one of their spinning rods. 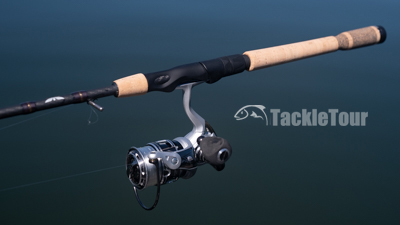 Here now is our take on Fenwick's HMG70ML-FS spinning rod. Time to check out an HMG Spinning stick! 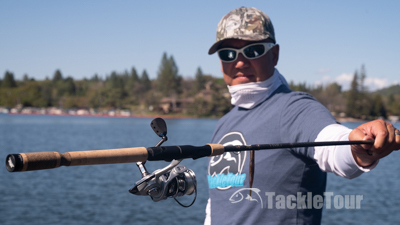 Impressions: The HMG70ML-FS is a seven foot, zero inch (7'-0") spinning rod outfitted with Fuji Alconite guides and Sea-Guide Alien Reel Seat with a soft touch finish and a positive lock design. 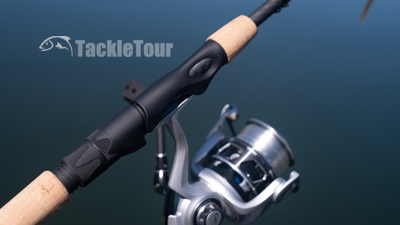 The rod's blank is made from Fenwick's high modulus graphite reinforced with a spiraled carbon thread. 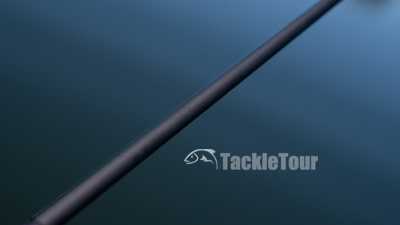 The Sea-Guide Alien Reel seat gives this stick just enough flare. 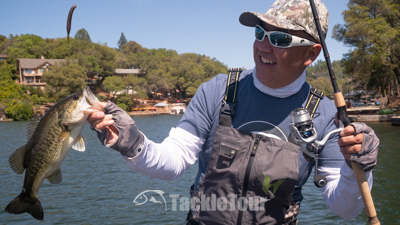 Real World Tests: For the HMG70ML-FS's tests, I paired it with a Pfleuger Patriarch XT spinning reel spooled with some eight pound (8lb) Sunline Sniper Fluorocarbon. My primary plans were to fish this combo with some finesse techniques. Paired with a Pflueger Patriarch XT and ready for some action. Casting: The HMG70ML-FS is rated from one eighth ounce to five eighths ounce (1/8-5/8oz) in lure weight and seems to handle baits in this range fine. I fished primarily in the lower end of this range with a drop shot rig, but did tie on a Megabass Vision OneTen for a few casts just to be sure. The stick's sweet spot seems lean towards the upper side of its rating. It is definitely more on the medium side of medium light. The HMG70ML-FS is made from Fenwick's "high modulus graphite" - hence the initials HMG. Sensitivity: The HMG70ML-FS is made from Fenwick's "high modulus graphite" (hence the initials HMG), and has good sensitivity. If I had to quantify I'd say it's slightly above average compared to sticks you'd typically find in this price range. As with most fishing rods, you can enhance sensitivity by using fishing lines that are noted for this characteristic like fluorocarbon or braid. I prefer fluorocarbon and felt the Sniper was a really good match with HMG70ML-FS. 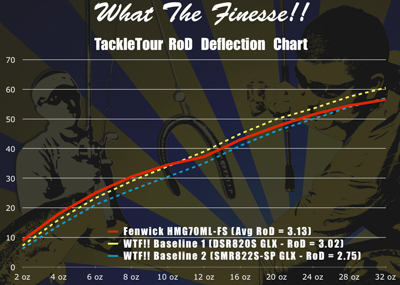 Fig 1 : The chart above illustrates the deflection characteristics of our Fenwick HMG70ML-FS against our baseline light and medium light powered spinning rods. Power: Once you do feel that "tick" and lift the rod to put pressure on your catch, or swing to set the hook, the HMG70ML-FS responds with a very strong backbone. 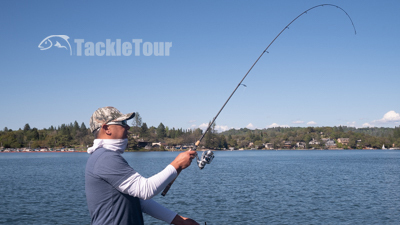 This stick leans more towards the medium than light and you can really feel that with a fish at the end of the line. Fished with eight pound Sniper, I was pretty confident whenever I hooked a fish that it was going to end up in the boat, and I was never disappointed. Once you do feel that "tick" and lift the rod to put pressure on your catch, or swing to set the hook, the HMG70ML-FS responds with a very strong backbone.